OPEN HOUSE SUNDAY 9/23 from 2PM-5PM New construction in Historic Social Circle! Arbor Glen is a 14 lot community that has all the historic charm with the ease of new construction ownership. 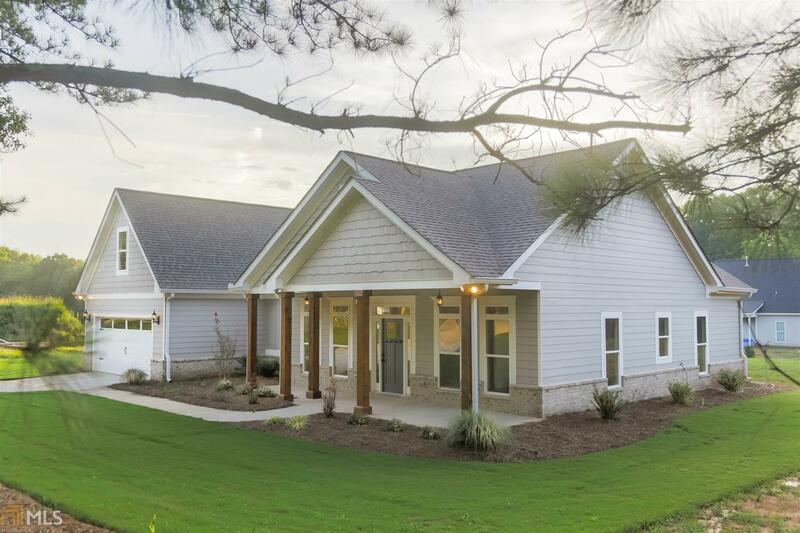 The Walton features 4 bedrooms and 2 full bathrooms. Open concept floor plan makes entertaining a breeze! Hardwoods throughout living spaces and hallways. Kitchen with custom cabinets, granite countertops, craftsman island and stainless steel appliances. Master on main with trey ceilings and gorgeous en-suite. Master bathroom with tiled shower, soaker tub, and double vanity. 2 bedrooms and a full bathroom on the separate side of the home. 4th bedroom located over the garage. Additional storage room in the garage with exterior access. Enjoy downtown living at Arbor Glen! Directions: Take S Cherokee To Memorial Drive And Then Left Onto Lakewood Drive. Home Will Be On The Right. Additional Lots Available To Be Built On. Courtesy of Conner Smith Realty, Inc. Copyright 2019 Georgia MLS. All rights reserved. Information deemed reliable but is not guaranteed. The data relating to real estate for sale on this web site comes in part from the Broker Reciprocity Program of Georgia MLS. Real estate listings held by brokerage firms other than Conner Smith Realty, Inc. are marked with the Broker Reciprocity logo and detailed information about them includes the name of the listing broker. Information provided is for consumer\'s personal, non-commercial use and may not be used for any purpose other than to identify prospective properties consumers may be interested in purchasing. Conner Smith Realty, Inc. does not display the entire MLS database on this website. The listings of some real estate brokerage firms have been excluded. This site will be monitored for \'scraping\' and any use of search facilities of data on the site other than by a consumer looking to purchase real estate, is prohibited. Listing broker has attempted to offer accurate data, but buyers are advised to confirm all items. Information last updated on 2019-04-22.